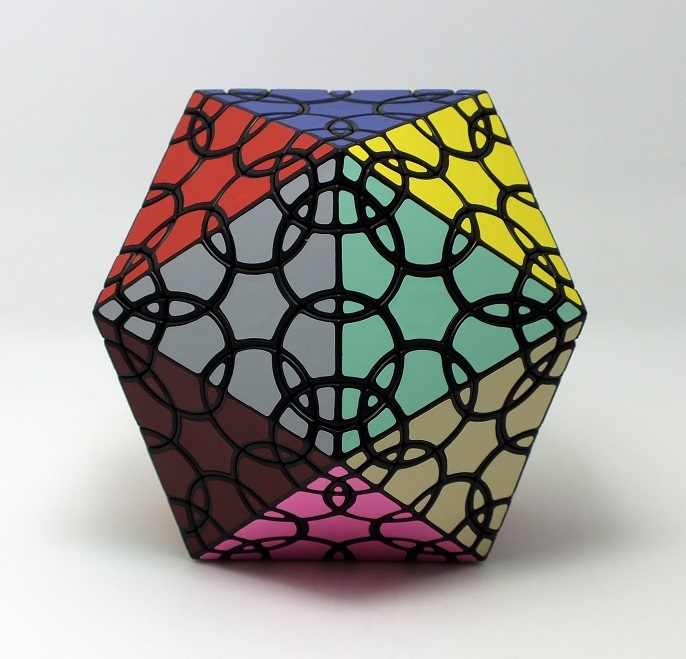 Clover Icosahedron D1 is a combination of standard Clover Icosahedron and Megaminx. 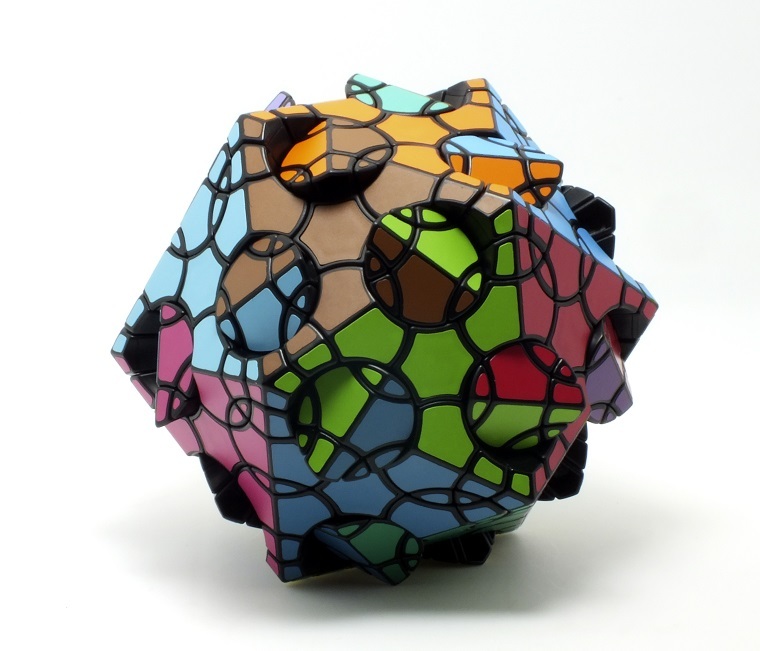 It contains 60 axes from Clover Icosahedron and 12 axes from Megaminx, reaching a total of 72 axes. 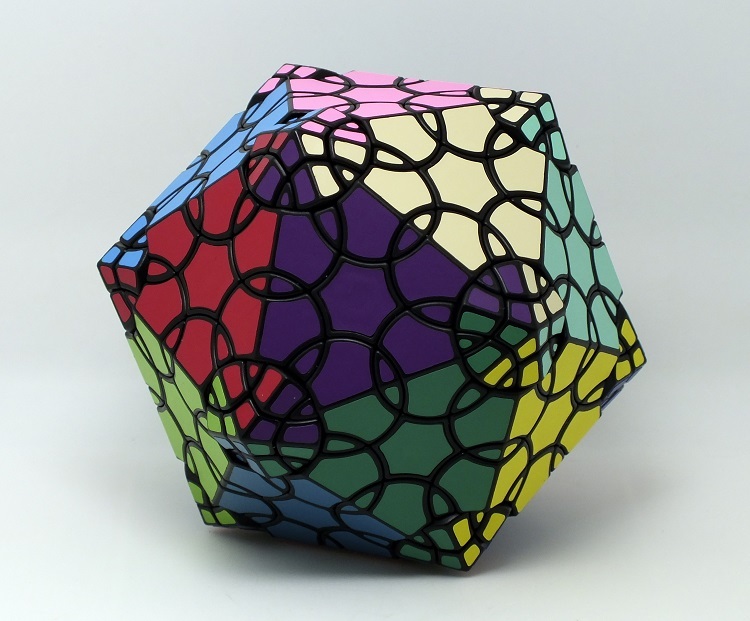 Naming of this puzzle: D- Dodecahedron, 1 means 1 layer. CID1 means Clover Icosahedron plus 1 layer of megaminx cut. - 72 axes of rotation, overstepped any of existing twisty puzzles. - Most of the parts were molded while keeping their entirety, resulting a significantly better turning feel compared with previous Clover products. - It comes stickered and packaged. 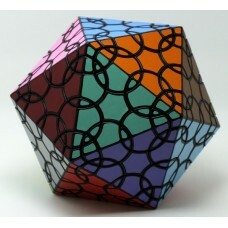 1pcs of Clover Icosahedron D1. Update 2017/07/14: This product is temporarily out of stock. New batch in progress. Remark: Transparent model comes not stickered but with DIY sticker set (normal sticker set).